In 2015 the United Nations Framework Convention on Climate Change (UNFCCC) reached a landmark agreement to combat climate change and limit the global temperature rise this century to two degrees Celsius (but preferably 1.5 degrees Celsius) above pre-industrial levels. Unlike its predecessor (the Kyoto Protocol), the Paris Agreement is not legally binding, and individual nations who have signed on develop their own climate plan to reduce emissions (pollution), taking into account their own domestic circumstances and capabilities. Australia is currently a signatory. You can see the different party commitments to climate pollution targets below. In Australia the three main sources of renewable energy are solar, wind and hydroelectric. Renewable energy sources tend to have a smaller carbon footprint. Renewable energy continues to be embraced by Australians. In 2018, 19 per cent of all electricity production came from renewables, an increase of 25 per cent from the previous year. Coal is still Australia’s major source of energy, accounting for 60 per cent of all energy production in 2018. It is also a major source of carbon emissions. The effects of climate change have reached the Great Barrier Reef, where rising sea temperatures and increasing ocean acidity have caused more frequent mass coral bleaching across much of the reef. In mid-2018 it was estimated that coral cover in the northern part of the reef was less than half what it was in 2013. In 2015 the Australian Government (in partnership with the Queensland Government) launched the Reef 2050 Long-Term Sustainability Plan to provide a framework for protecting and managing the reef until 2050. Climate pollution target: Under the Coalition, Australia will reduce emissions to 26-28 per cent on 2005 levels by 2030. Paris Agreement: As part of the Liberal-National Party’s commitment to meeting emissions targets under the agreement the Government has pledged $2 billion over 10 years for the Climate Solutions Fund which provides money for Australian farmers, businesses and Indigenous communities to undertake emissions reduction projects. Renewable Energy: The LNP supports continued investment in renewable energy, aiming to have 23.5 per cent of all electricity generation come from renewable sources by 2020 but have no stated targets beyond that. Great Barrier Reef: Together with the Queensland Government, the LNP jointly invested $2 billion in programs to ensure the health of the reef, including $443.3 million for the Great Barrier Reef Foundation to support reef protection. Coal: Energy minister Angus Taylor has confirmed the Morrison government is continuing to assess new coal generation projects. Climate pollution target: Under a Labor Government, Australia would commit to cutting climate pollution by 45% on 2005 levels by 2030. 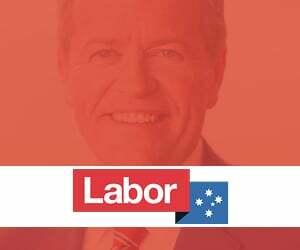 Paris Agreement: Labor is committed to meeting Australia’s emissions targets under the agreement and intends to work towards net zero greenhouse gas pollution by 2050. Renewable Energy: Labor supports a transition to clean energy while ensuring reliable and affordable energy and plans to deliver 50 per cent of electricity generation from renewable sources by 2050. Great Barrier Reef: Labor says they will fight to save the Great Barrier Reef by addressing climate change, increasing ocean protection in the Coral Sea, improving water quality, strengthening our environmental laws and protecting the biodiversity of species and ecological habitats in the reef and its catchments, but they have also vowed to revoke the $443.3 million grant given to the Great Barrier Reef Foundation by the LNP. Climate pollution target: Cut climate pollution by 63-82 per cent by 2030 and to negative zero emissions by 2040. 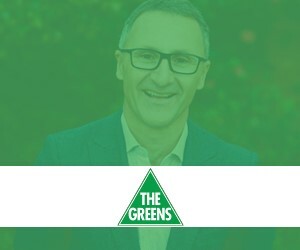 Paris Agreement: The Greens are committed to meeting Australia’s emissions targets under the agreement and want to see a net zero or net negative Australian greenhouse gas emissions by no later than 2040. Renewable Energy: The Greens support a complete transition from fossil fuels to renewable energy as soon as possible. Great Barrier Reef: The Greens have a 5-year, $2.8 billion plan to save the reef, vowing to combat global warming, coral bleaching, water pollution, dredging and illegal fishing. 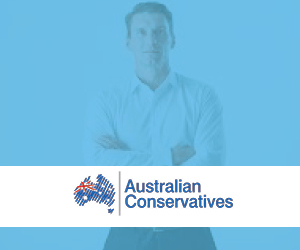 Renewable Energy: Australian Conservatives are open to renewable energy as an option for electricity generation but do not support any renewable energy targets nor will they provide subsidies for renewable energy sources. Great Barrier Reef: The Australian Conservative’s QLD Senate candidate Lyle Shelton said in August 2018 that the Government has it’s “priorities wrong” by splashing too much money on protecting the reef (through its funding of the Great Barrier Reef Foundation) while drought-ridden farmers are struggling. The Intergovernmental Panel on Climate Change is a globally recognised body charged with assessing the science related to climate change. In their report last year, they indicated that the earth is steadily getting warmer and outlined the implications of the warming as well as providing ideas for how to adapt or even mitigate the effects. Read two different Christian responses to the report, here. ARRCC’s position is that climate change is a profoundly moral issue. The Earth is of intrinsic value and we have a duty to protect it. Furthermore, civilisation itself and all forms of life including our own are entirely dependent on the ecological integrity of the natural world. We are part of and dependent upon the Earth’s ecosystems, not separate from them. We therefore have a responsibility to care for the ecosystems on which life depends, particularly for (a) the most vulnerable people, often those in so-called ‘developing’ countries who are bearing the negative impacts of climate change earliest and hardest, (b) future generations, and (c) other species with which we share the Earth. Read more here. 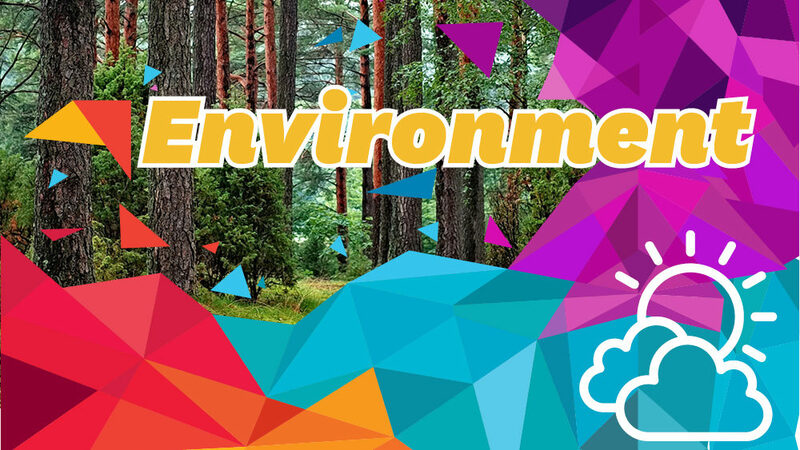 Catholic Earthcare Australia, the ecological agency of the Australian Catholic Bishops Conference believes that all people on earth have a responsibility to act in the face of climate change. 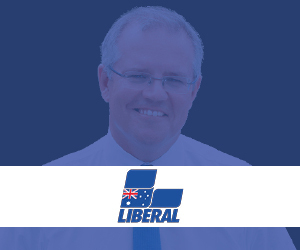 They have statements on climate change and the Great Barrier Reef, here. Coal should be a major election issue. One side of politics at the federal level is calling for more coal fired power stations, another seems keen on the Adani coal mine, and yet another won’t rule it out. This highlights for me how our involvement in democracy can’t be isolated to election day alone, as important as it is. Coal may have served us in the past, but the message from science is clear, it needs to be left in the ground. A safe climate for our children means no new coal. A future for our Pacific Island brothers and sisters means no new coal. Better air quality for ourselves and India’s children certainly means none of the poor quality coal Adani wants to dig up. A new study from Europe demonstrates how fossil fuels contribute to early deaths by heart disease. Add to this that coal mines deliver few long term jobs, that coal miners risk black lung disease, that Adani will be gifted valuable water for agriculture, that Aboriginal rights are being trampled. There is nothing just in this mine. What does your Federal hopeful think about coal mining? But it isn’t the environment – it’s God’s creation. Humans have a responsibility to care for it, which often means protecting it from our own wantonness, carelessness, and irresponsible behaviours. How we care for creation reflects what we think of the Creator. How we treat our neighbour reflects whether we’re following our king Jesus, who moved into our neighbourhood and shared our humanity. How we respect the lives of those who are suffering reflects our responsiveness to the Spirit of life, who groans with all those who yearn for justice, truth and peace. Whether we care for our common home is one of those litmus tests that reveals our heart, and the extent to which our heart has been shaped by the heart of a God who declared that home “good, very good”. This would all be true in less compromised circumstances. But we live in an age where the stability, beauty and abundance of our planetary home is not just diminished or under threat, but its very habitability is in doubt. Globally, coral reefs are bleaching, forests are falling, oceans are rising, species are disappearing, heatwaves are worsening, glaciers are melting, air quality is deteriorating, clean fresh water is dwindling. In the last forty years, fully half of all wildlife has been squeezed out by our ever-expanding demands. Almost nine million people are killed by air pollution every year, that’s more than terrorism, war, motor vehicle collisions, gun deaths, malaria and AIDS combined. And all this would be bad enough if these were threats arising from elsewhere, but we live in a nation that is at the forefront of driving many of these harms, though our resource-intensive lifestyles and our profit-hungry corporations. Australians consume more resources per capita than all but a handful of nations. We export more coal than pretty much anyone. We are the only developed nation in the top ten biggest deforesters. Our rate of recorded mammal extinctions is the worst in the world. There are real differences between the policies, priorities and perspectives of the various parties and candidates on how to respond to these realities. Some ignore them. Some minimise their extent or severity. Some shift the blame elsewhere. Some accept the scientific findings but propose little more than symbolic or incremental changes. Some strive for more ambitious efforts at living within our ecological means, without stealing from our neighbours or future generations. How we care for our common home matters. It matters to our neighbours, struggling to survive. It matters to our children and their children. It matters to God.